We held the first Reiki clinic at the JCC in Manhattan in May 2007, and the Reiki clinic has served the public and the Reiki community continuously since then. If you haven’t had any Reiki training and want to experience a Reiki session, the JCC Reiki Clinic is a safe environment to do so. Last night, right after the reiki clinic, I felt relaxed and still felt the warmth from the practitioners’ hands. When I woke up this morning, I felt very different…almost lighter, as if some heavy negative energy had been lifted off me. Definitely something great happened because I can feel the difference already! — Erika B. 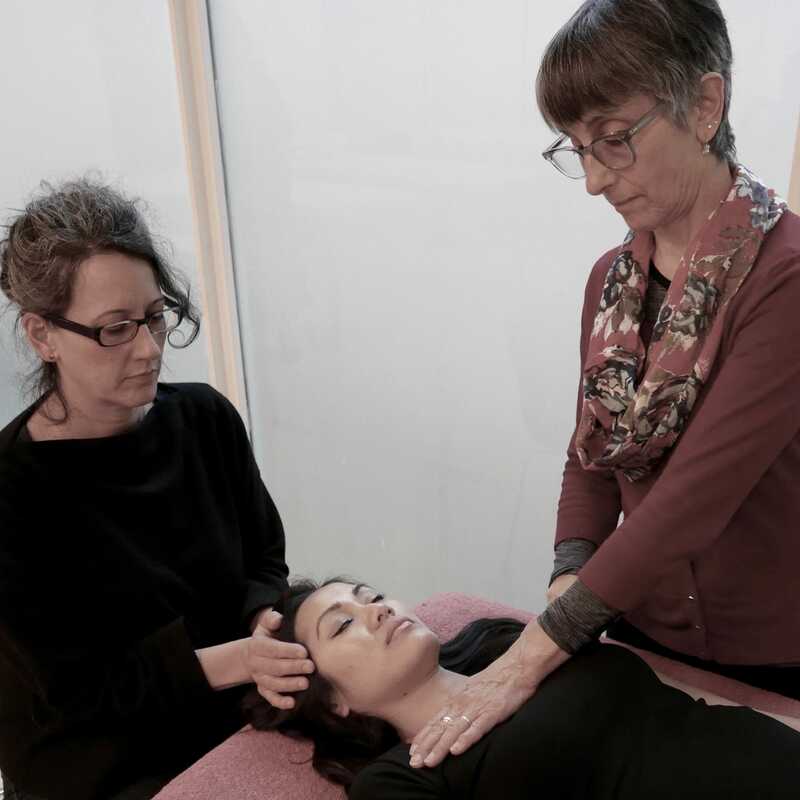 The public is invited to book a 45-minute appointment that includes orientation and a Reiki session, usually with two practitioners, depending on attendance. Whether you have never experienced Reiki and want to give it a try, or you are looking for an occasional boost to your well-being, you are welcome. 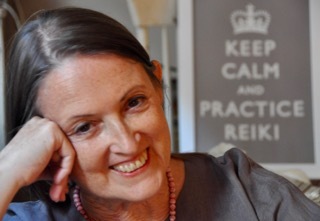 Reiki practice for anyone with at least First degree Reiki training — ALL lineages welcome! 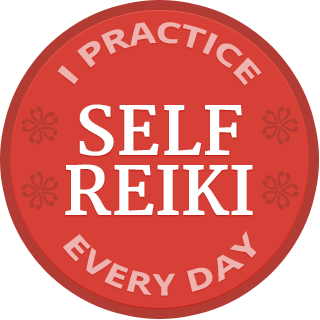 Are you are already trained to practice Reiki at any level? The Reiki clinic is an invaluable opportunity to practice table treatments in pairs in a supported setting where you can enjoy practicing without the burden of communicating. Reiki practitioners of all lineages and practice styles are welcome in our community! The first time you practice with us, I’ll be sure to pair you with an experienced practitioner so you have the support you need to f eel comfortable. be welcomed as a valued part of a diverse Reiki community. Every practitioner also receives a treatment, and the practitioners gather at the end for Reiki conversation — and chocolate! The JCC Reiki Clinic takes place on the first Thursday of each month unless there is a holiday. The clinic will meet on December 6, February 7, March 7, etc. but in January, we will meet on the second Thursday, January 10. The JCC in Manhattan is located at 334 Amsterdam Avenue on the southwest corner of West 76th Street, New York, NY 10023. Pre-registration guarantees your space — and forever endears you to me! — but you are also welcome to take your chances and show up. We do our best to accommodate everyone but can only guarantee you will receive a Reiki session if you register in advance. If you are a Reiki practitioner who would like to introduce your friends to Reiki, but are not comfortable practicing on your own, the clinic is a safe environment where your friends will be well taken care of. There is a $20 fee for all participants, both Reiki practitioners and people coming for a Reiki session only. The public can register for a session at either of two slots: 6:45-7:30 PM or 7:15-8 PM. The time slots include a short orientation before your treatment and a brief discussion afterward in case you have questions. Please register on the JCC Manhattan website or by phone 646.505.5708. This is a public clinic offered in a respected community center. To maintain the highest standards, all practitioners meet for orientation before every clinic. Please arrive early if you have not pre-registered. The registration desk is often busy at that time, and orientation starts downstairs at 6:15 PM. If you are not downstairs in time for the orientation — we are all very busy and things happen — you are welcome to receive a Reiki session, but you will not be able to practice with us on that particular evening. If you register in advance, after passing through the JCC security, you can either walk straight ahead to the elevators and come down to L1, or make a right and walk down one flight using the staircase that starts at the street level window. It is disruptive if practitioners leave early, so please only register if you are able to stay until we finish, by 9:15 PM. Reiki practitioners can click here to register on the JCC Manhattan website or call 646-505-5708. If you are a Reiki practitioner who will be practicing with us for the first time, please email me that you are coming.